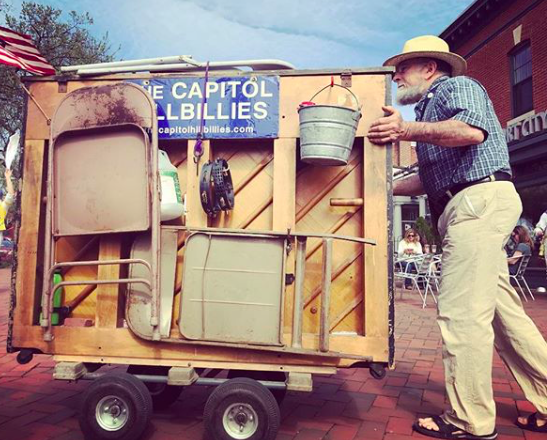 Seeing a piano on wheels is indeed a sign to capture @Louisedettman. In fact, you never know what you’ll see at Eastern Market, and isn’t that the joy of it? The vendors like to see you rain or shine, so grab your tote and head on over the rainy weekend. Do you see unusual sights on the Hill? Share them please! Tag ’em with #thehillishome and we can share them here and with our growing troop of followers. Make sure you’re following our Instagram account @thehillishome!